Gummibär Imperfect Plush Toy Sale Announced - Gummybear International Inc.
Gummybear International has announced that the Gummibär Imperfect Plush toys are now free at Gummybearshop.com. 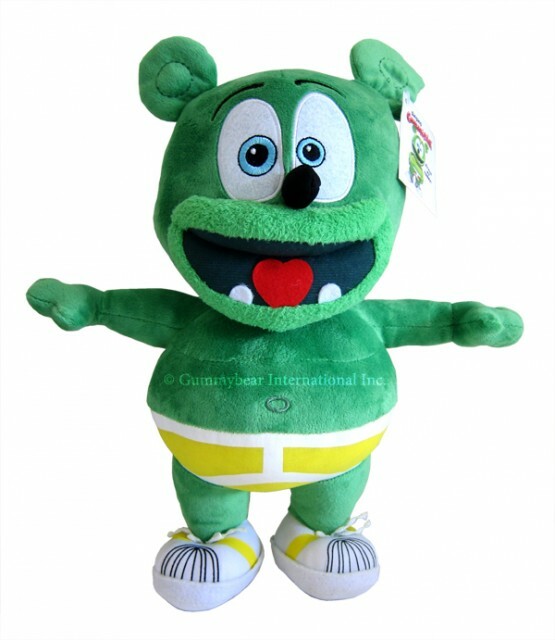 Some of the Gummibär Plush Toys arrived to corporate headquarters without any sound, some have been stitched wrong, and some might not have exactly enough stuffing. Because these plushes have various imperfections, they have been made available for free. All Gummibär fans have to do is pay for is shipping. Plush sales are limited to one per household and all are final sale. Gummybear International is engaged in the creation, development, and branding of animated entertainment properties, as well as musical content based on and produced for such properties. It markets and sells recorded musical and video products in various physical formats, such as compact discs and DVDs, and digital formats, such as downloads and ringtones, through a worldwide network of established distributors and licensees. The company’s music publishing segment owns and acquires rights to musical compositions, markets these compositions, and receives royalties or fees for their use. It also is actively developing mobile and computer based games and exploiting merchandising rights for its brands in cooperation with a variety of licensing partners. GBI is working on a number of film and TV projects. web api security The company is headquartered in New Jersey.